In our telegram group, I got some questions about what to do to unlock a REDMI 5 plus. There are a few different states in which a phone can be when you get it, such as ' fake ' ROMs, China stable, China Dev and so on. In the following, we will try to give you a sense and explain how you can best unlock your phone. After you have installed global development, please start the unlock by starting with step 1, but skip step 2! To do this, you must create an MIUI forum account and enter a mobile phone number on which you will receive your consent. This number does not have to be the number you use on your REDMI 5 plus. As long as you create an MI account and stick to it, you're good. This is it for this part for now.
' Fake ' global, unlocked bootloader; If you are part of these lucky few, go directly to step 4. This must be done through the so-called "Checkpoint method " And this is the only way to do this (as of now). You can find information here: Https://www.youtube.com/watch?v=IVG3Ip6UPGE. After that, you are ready for the next step. Note: If you are having problems binding your account in step 1, use PlexVPN, connect to a site in China, or use the attached APK VPN service (in. invpn_2017-08-15. apk). 1: After you have applied for and received the MIUI activation authorization, you can use the account to sign in to your MI account on your phone. First, however, we need to determine whether you need to take any further steps, so stick to it now. 2: Enable developer options on your device by tapping the MIUI version a few times. 3: Go to developer options and enable OEM unlocking, then go to "Mi unlock status" and tap "Add account and Device ". 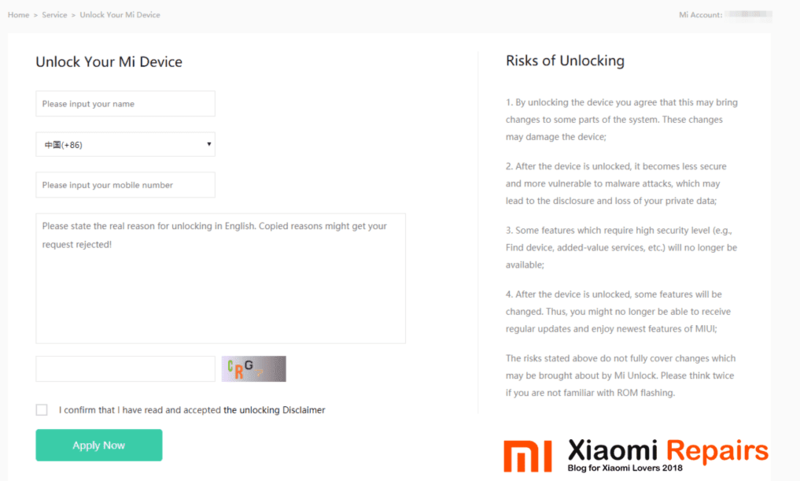 4: Download and install the latest version of MiFlashUnlock from this page and install it on your PC (unlock with MiUnlock 1. x version will not work). 5. 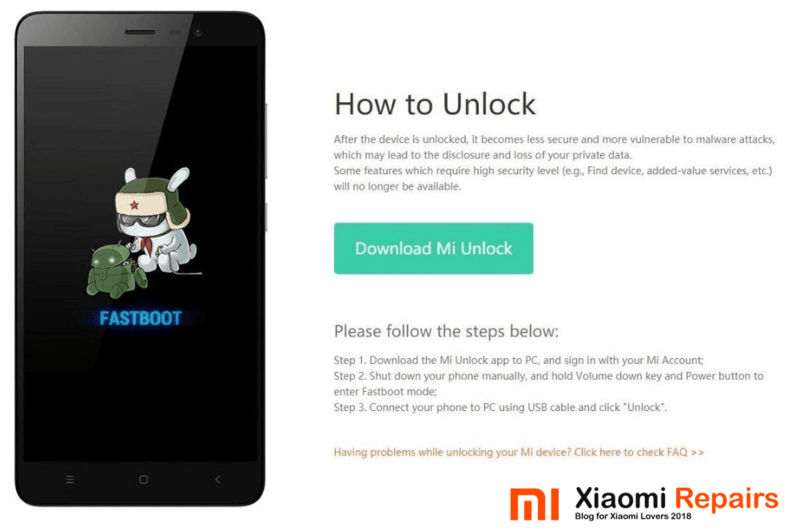 Install MiFlashUnlock, open it and click ' Accept ' to log in to your MI account. 6: Turn off the phone completely and start it in Fastboot mode. Press the power and volume down keys at the same time until the Fastboot logo appears on the screen. Connect your phone to the PC in Fastboot mode and press the Unlock button. 7: And now it's going to be a bit silly. You will most likely be confronted with a wait time between 72 and 360 hours. There is currently no way around this and you have to expose it. Once the time has elapsed, you can unlock your phone and are ready to flash TWRP and be a happy camper. In this topic, you will learn how to do this: https://forum.xda-developers.com/and...ment/-t3727162. 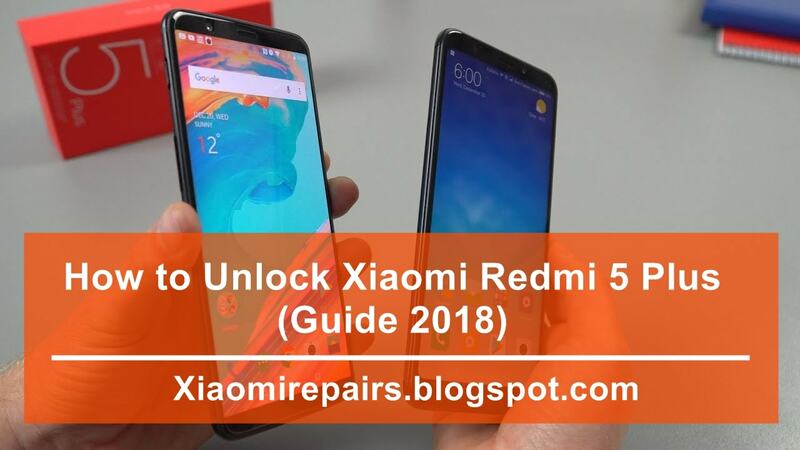 0 Response to "√ How To Unlock Xiaomi Redmi 5 Plus (Guide 2018)"
√ How To Download Mi Account Unlock Tool?